Homo sapiens, our species may have the cities, art and space travel but it could be argued that the most successful type of hominid was H. erectus. Although their brains were very much smaller than ours, this particular species of human clocked up the greatest amount of time on Earth for a type of human. H. erectus survived from approximately 1.9 million years ago until about 300,000 years ago. Some anthropologists have suggested that H. erectus survived until much more recently, somewhere until 53,000 to 27,000 years ago in parts of S.E. Asia. Now further evidence of the remarkable distribution of H. erectus has been uncovered from a cave in Georgia. The remains of five Homo erectus, three females and two males, have been found at a cave at the Dmanisi archaeological dig site, south-west of the Georgian capital Tbilisi. The fossilised skeletons, including excellent skull material, have been dated to approximately 1.8 million years ago, providing further evidence that H. erectus became widespread quite quickly and moved out of Africa early on in their evolution. This highly adaptable human species is known from other parts of Caucasus region of Georgia and it is certain that some populations of H. erectus must have migrated out of Africa very soon after the species originated. This northward migration of this particular branch of the human family tree begs the question – what happened to those widespread H. erectus populations? Did they just die out, or where they eventually out competed by more modern types of human migrating out of Africa? The dig site has also revealed stone tools and animal bones showing cut marks, indicating that this species of human prepared meat for food. It is known that H. erectus used fire but whether or not they were able to make fire is unknown. Perhaps, they kept embers from natural forest fires and used these to provide a sustainable source of heat. These partial skeletons, represent some of the earliest hominid remains discovered outside Africa, they add credence to the idea of “multiregional hypothesis”, a concept whereby the development of modern humans took place independently in response to similar environmental stimuli leading to separate human populations across Europe. This contrasts with the more widely accepted theory of human evolution which suggests that there was a later second phase of migrations with H. sapiens migrating out of Africa around 120,000 years ago – a sort of “Out of Africa part 2”. The Director of the Georgian National Museum, David Lordkipanidze described these people as being short (approximately 1.5 metres tall with males bigger than females), with small brains but strongly developed legs. 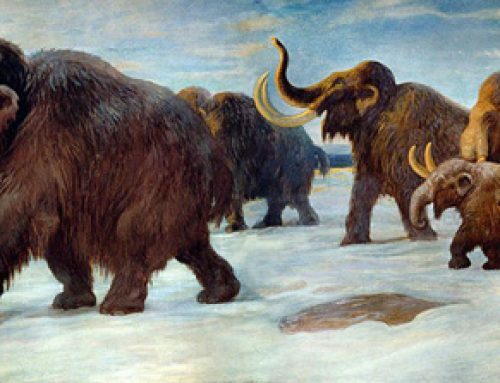 These humans lived at a time when Sabre Toothed Cats and other large predators roamed the land. “The fossils are extremely important in showing us a very primitive stage in the evolution of Homo erectus. They raise important questions about where that species originated”. It has been estimated that the brain size of H. erectus was little more than half the size of a modern human’s. Although, the fossil record shows that the brain size of H. erectus increased over time, by approximately one million years ago the brain had reached a capacity of 1,000 millilitres, rising over the next 500,000 years or so to about 1,300 millilitres. The brain capacity of a modern human is approximately 1,750 millilitres. The Dmanisi hominids were social, living in family groups and they possessed advanced tool making and hunting skills. This would lead scientists to deduce that they were able to communicate effectively with each other and they had advanced cognitive skills. The origins of our species and the evolutionary relationships between hominids remains a hotly debated area of science. 2009 marks the 200th anniversary of Charles Darwin’s famous work “On the Origin of Species”, it seems our ancestry will remain a mystery for a while longer.